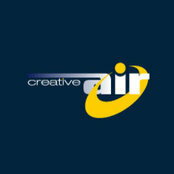 Why Creative Air? Our name was not chosen by coincidence. We pride ourselves to think outside the square when it comes to finding air conditioning solutions that work for you. Most air conditioning companies purely endeavour to cool or warm your home or work environment. Creative Air goes one step further. Not only do we give you dominion over your desired climate in your home, we also make sure that the air conditioning hardware will look great and enhance the interior and exterior appearance of your residence or investment. Simply put, choosing Creative Air for your air-conditioning means: • You will feel comfortable all year round • Your home will look great • You will add value to your home or investment • You will have a pleasant experience whenever you are in contact with our friendly and helpful staff • You can relax knowing that your home will be treated with care, as if it was our own Thank you for your time and interest. We look forward to being of service to you.